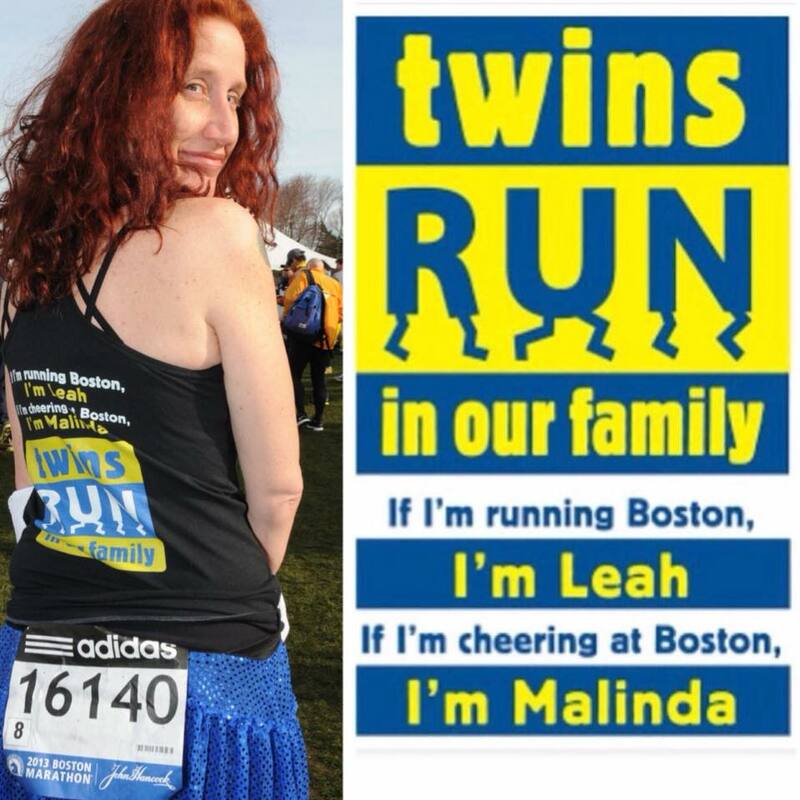 When I saw the Boston Marathon's #PassTheBaton post on Facebook, I knew I had to take this opportunity to give a shout-out to my twin, Leah. 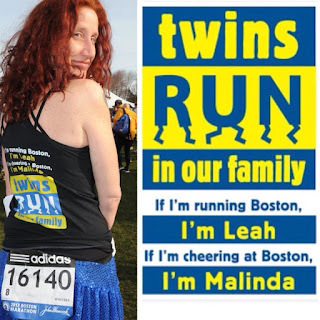 I was inspired when Leah finished her 1st Boston Marathon in 2013 then devastated when the tragedy occurred. In the years following the tragedy, I was determined to qualify so Leah and I could run Boston together in memory of those who died and in honor of those who survived. Leah encouraged me to keep trying to qualify for Boston (BQ) and I finally succeeded at my 12th attempt at the 2016 Philadelphia Marathon (3:46:13) as part of Team Lemon to benefit Alex's Lemonade Stand Foundation for Childhood Cancer. Five years later, it will be bittersweet to return to Boston without her but I know she will be cheering me on from Charlottesville. I continue to be inspired by Leah’s ongoing volunteer work with the Charlottesville Track Club - she is constantly encouraging others through the training program & supporting charities with the C-VILLE-athon. She also started the Rivanna Greenbelt Marathon so that others could achieve their BQ goals. Thanks to Leah, Coach Mark, family, friends & followers who have supported me on my journey and generously donated to Alex's Lemonade Stand Foundation.